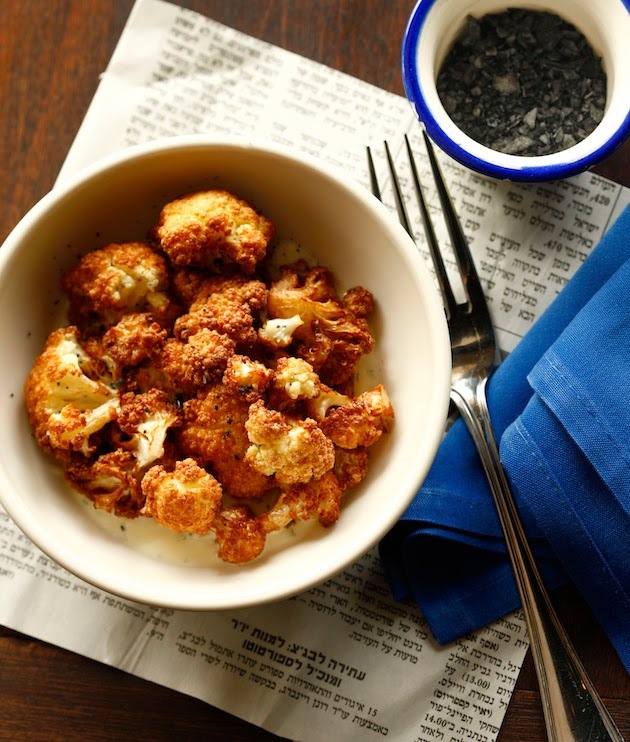 When the food trend movers and shakers predicted that the cauliflower is going to be the new brussels sprouts, they must have been thinking of Chef Michael Solomonov's fried cauliflower mezze with labne (strained yogurt), chive, dill, mint and garlic sauce. Before you hop over to Jewish Food Experience, to read the rest of my recent monthly installment, linger here for a few moments longer. The article on the Israeli inspired restaurant Zahav (Gold) in Philly was cleverly titled by the editor "A Golden Lamb in Philadelphia." The Limonana (mint lemonade), above, at Zahav was authentic, refreshingly thirst quenching, as if we were on the sweltering beach in Tel Aviv. You might remember the Lemondrop Melon Limonana Sorbet I 'concocted' back in 2011 inspired by the classic Israeli beverage. You also might wish to take a look at my Instagram for that 'golden lamb' and other snapshots. Meanwhile I am keeping this post short and sweet as I am on the road in NY, heading back to reality and deadlines, not yet, but soon-ish. Read about Jonathan's Father's Day weekend when I dragged him to Zahav in Philly during World Cup. Oh the double blasphemy whammy on my part! Some cool ABCNews video from the restaurant of the brined, smoked braised and grill charred lamb. In addition great links to recipes in the article, so that you can make these, relatively simple, Mediterranean delicacies at home. All good stuff! Great food! I particularly like that cauliflower mezze. Good looking food and drinks! Especially that mint lemonade! Looks like a great place! Thanks for sharing! Mmm I could drink that whole pitcher of lemonade right now!! So yummy! What a great looking place. I especially love that lemonade, how refreshing! 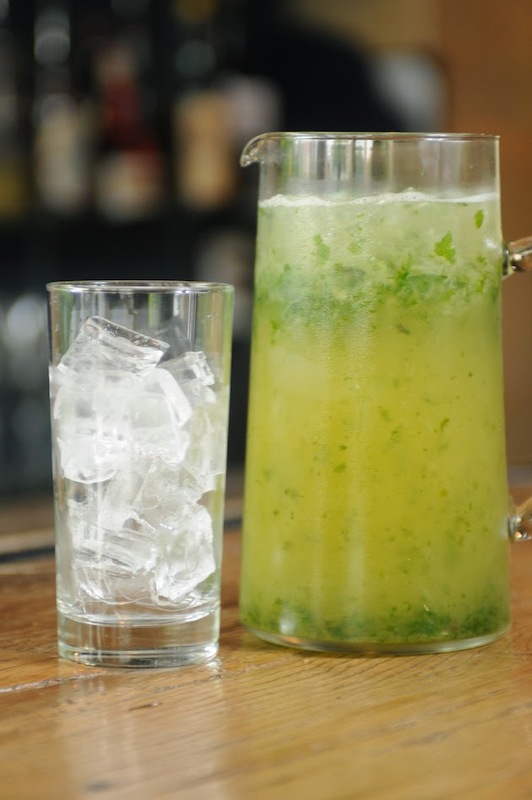 The cauliflower and mint lemonade look heavenly! Makes me want to head down to Philly for a weekend to try it out. I thought I was in love w/ that cauliflower, until I scrolled down and saw the lemonade! All delicious looking! I live in such a small town. We don't have any authentic foreign foods like that anywhere around :( this food sounds great and that mint lemonade is probably so refreshing! looks beautiful.. and that cauliflower looks to die for. yum! 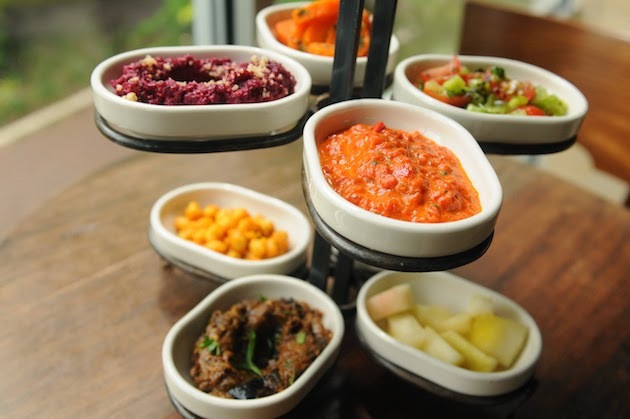 Ahhh, I need to get back to Zahav - a Philly gem for sure! I've never been to Zahav....will definitely have to get there soon. The cauliflower looks incredible!